The nation’s capital is bracing for a frenetic fall. At best, Congress can expect a four-month legislative slog through everything from Iran to abortion; at worst, the government could shut down. It's anyone’s guess what that will mean for a renewed push to end the country's crude oil export ban. 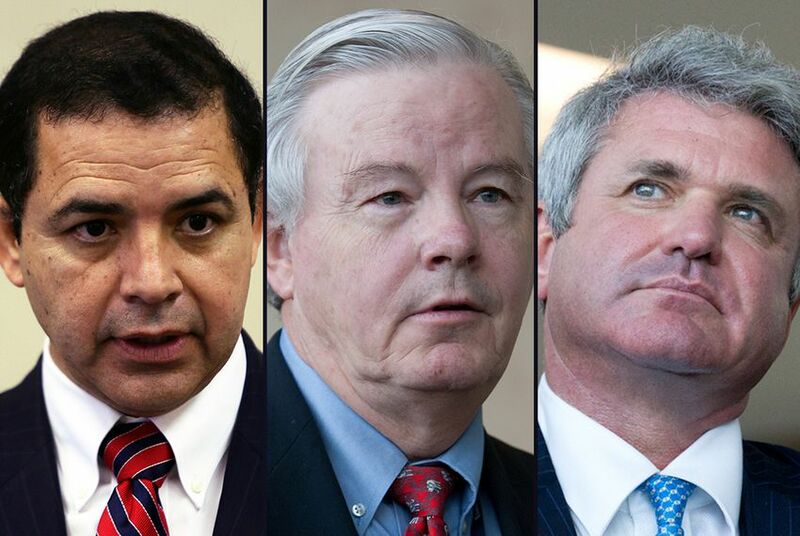 WASHINGTON — A handful of Texas congressional delegation members say they have an antidote for the anxiety low oil prices have inflicted on the Texas economy: repeal a 40-year ban on exporting U.S. crude oil to the international market. After returning to the U.S. Capitol this fall, they say they are determined to move the legislation to President Obama's desk by Christmas. But the nation’s capital is bracing for a frenetic fall. At best, Congress can expect an exhausting, four-month legislative slog through everything from Iran to abortion; at worst, the government could shut down. How such a charged atmosphere will affect the push for lifting the oil export ban is anyone's guess. As it stands, American companies may export refined petroleum products like gasoline or diesel fuel to the international market, but not crude oil. U.S. Rep. Joe Barton, R-Ennis, one of the members most invested in eliminating the ban, calls it the last vestige of energy policy from the 1970s oil shortage crisis. "We’ve repealed every one of those except the ban on crude oil exports," he said, saying he moved other pieces of legislation in 2005. "The only reason we didn’t repeal it then is nobody brought it up. I wish I’d repealed it back in 2005 because it would have sailed through." An even international playing field, Barton and others argue, would ease the hardship on Texas oil producers. But advocates of the ban argue its repeal would raise energy prices for consumers and have a negative environmental impact. While global supply and demand have depressed crude prices worldwide, the American glut has made U.S. oil cheaper than what’s sold on the international market. The price gap is hovering around $5 a barrel now, but often stretches several dollars higher. Supporters of lifting the ban say the move would bring U.S. and international prices more in line, softening the blow of the latest drilling downturn. The status quo, they say, leaves on the table billions of dollars that would flow to Texas oil producers, royalty owners and state and federal coffers. Repeal is a key domestic priority for Barton and U.S. Rep. Michael McCaul, R-Austin, in particular. Barton is dean of the state's delegation and former House Energy and Commerce Committee chairman who said he's worked on the issue for about two years. Eighteen Texans co-sponsored Barton's initial legislation, 15 Republicans and three Democrats — U.S. Reps. Henry Cuellar, of Laredo, Eddie Bernice Johnson, of Dallas, and Marc Veasey, of Fort Worth. Another ally is U.S. Sen. Lisa Murkowski, an Alaska Republican, who took the U.S. Senate Committee on Energy and Natural Resources gavel in January and showed interest on the issue during her first six months as chair. Murkowski has argued that keeping the ban in place could have detrimental foreign policy consequences, especially given the country that will take center stage in the coming weeks of debate: oil-rich Iran. While Reid fell short of an endorsement, that statement could make Murkowski's job of wrangling 60 senators to overcome a filibuster easier if the legislation reaches the Senate floor. But while McCaul, Barton and others are committed to lifting the ban, there are political players equally committed to sustaining it. One dynamic is regional, pitting the economic interests of beleaguered Texas oil producers against Americans in other states — particularly the Northeast — where lifting the ban could mean higher energy prices for consumers, particularly those who use heating oil. Others say it's unclear what effect lifting the ban would have on domestic gasoline prices. In an October 2014 report, the federal Energy Information Administration concluded that prices at the pump are more closely linked to global crude prices than the value of U.S. oil. The market research firm IHS agrees, estimating that exports could actually lower gas prices over time. Lifting the ban would also mean U.S. refineries in states like Texas and New Jersey would face new competition from international refineries. Many of those Texas refineries are in the district of U.S. Rep. Gene Green, D-Houston, who has emerged in recent months as a chief opponent to lifting the ban. In early July, he and Barton squared off on the matter at a committee hearing. Other Democratic constituencies have a distaste for the prospect of lifting the ban, which they argue is a cornerstone of the country's bid for energy independence. “We’ve made such progress over the last decade toward energy independence and the idea that we would march away from that is crazy, especially with what has been going on in the Middle East,” said Karl Frisch, executive director of Allied Progress, a progressive group. Frisch said his group this week spent six figures on television advertising to keep the ban in place and is prepared to spend more. Some invested in the debate hearken to the 1970s oil crisis, worrying that if prices go back up, Americans could end up strapped for gasoline. And environmental groups like the League of Conservation Voters and the Sierra Club are worried about the environmental impacts of increased U.S. drilling and pumping if international markets are opened. Some Hill Democrats say they are apprehensive about increasing fossil fuel usage in any capacity, and Republicans haven't sold them on backing a repeal that is counter to the larger party's base instincts. How the issue – important in Texas, less so in Congress at large – plays amid a legislative stretch that will include calls to defund Planned Parenthood, a papal visit, a new budget, an Iran deal, a trade deal and a debt ceiling increase remains an open question. One argument is that there will be no oxygen to push through legislation that isn’t a crisis-in-waiting. Another thought is that political exhaustion could help an export ban repeal slide through for lack of energy to fight it. Beyond Congress, there is uncertainty over the Obama administration's stance. Export ban backers say they see no reason to be concerned that the president will undercut their position. But ban opponents say they were encouraged when the U.S. Commerce Department recently announced a swap of U.S. crude for Mexican imported oil. U.S. Secretary of Energy Ernest Moniz declined to answer a question on the export ban during a late July news conference on the Iran deal. Instead, he referred questions on the issue to the Commerce Department. Barton said he interprets the silence as positive. "They’ve certainly not been negative," he said of Obama and his cabinet members. "There’ve been no veto threats." Jim Malewitz contributed to this report. Disclosure: The Sierra Club was a corporate sponsor of The Texas Tribune in 2011. A complete list of Tribune donors and sponsors can be viewed here.